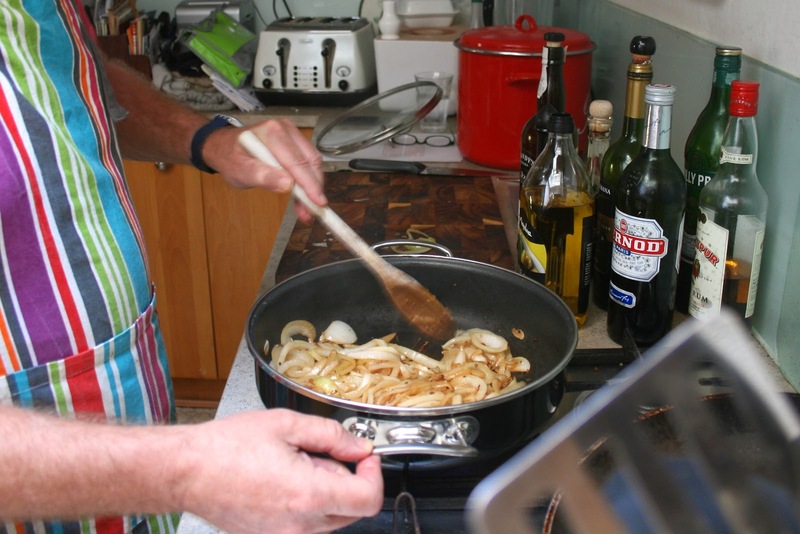 Lewes Liver and onions – better known as Fegato alla Veneziana – my contribution to Lewes Pie Night. 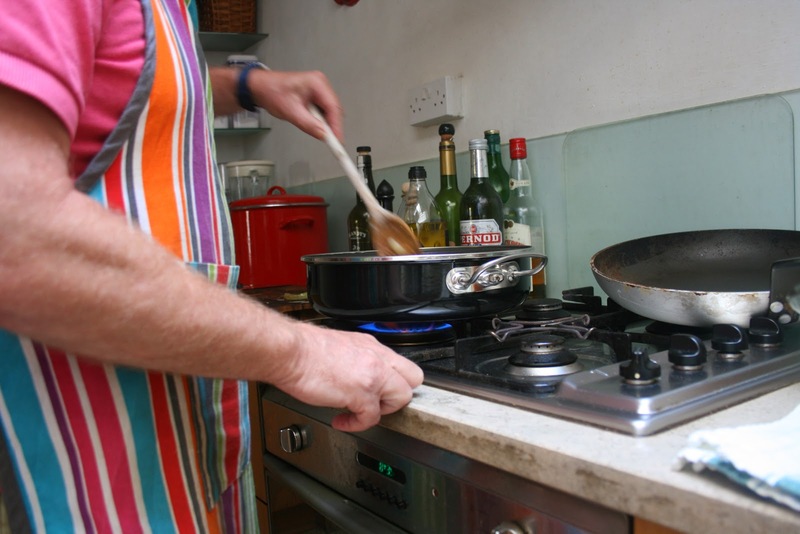 There was another meet of the Lewes Men’s Pie Club over the weekend. 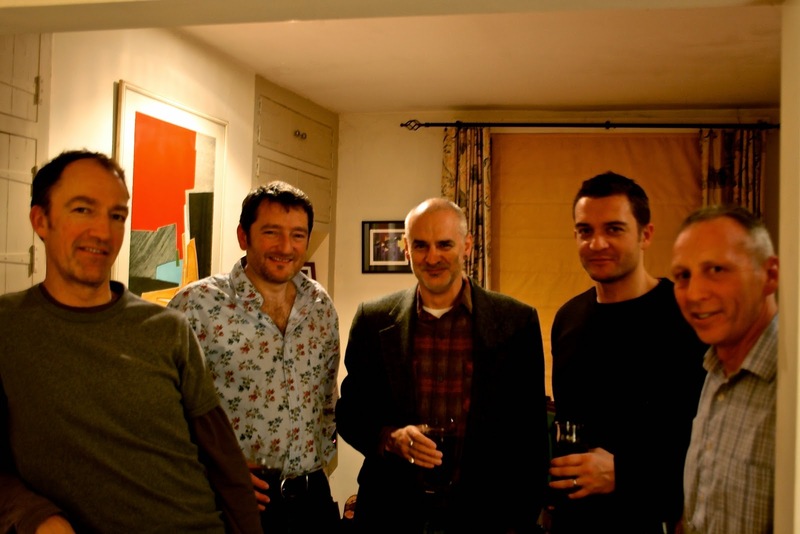 Here are the members – my friends (from left to right) Martin, Adam, Rob, Harvey and Dave. I’m not in the photograph because, well yes, I was behind the camera. We haven’t met this year until now so it was great to be back together again balancing my lack of culinary skills with the ambitious successes of most of the others. It was agreed – and then forgotten – that we would do offal this time instead of pies so, in the end, I was the only one to break the pie tradition. 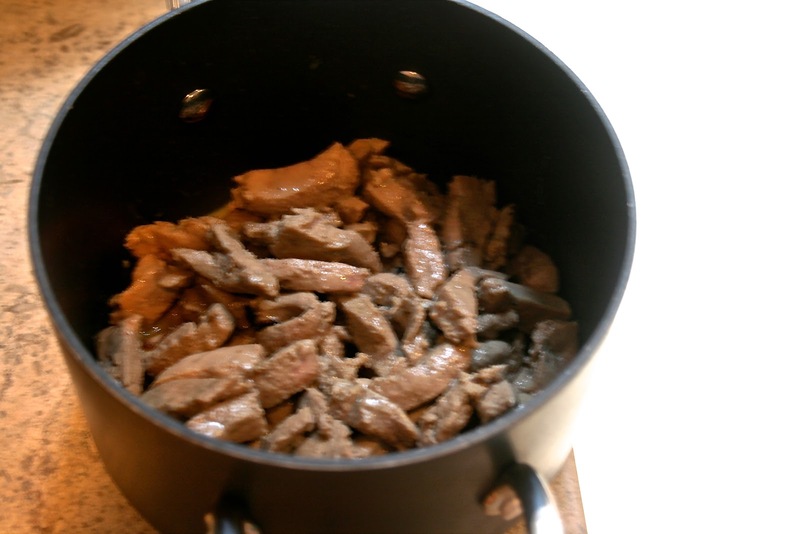 I blame my recent trip to Venice where I tasted the Venetian speciality, Fegato alla Veneziana – calves livers with caramelised sweet onions. 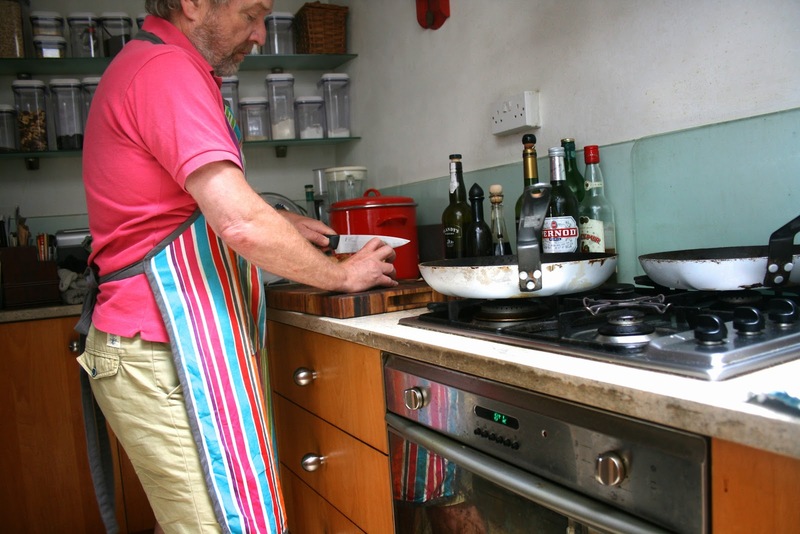 I loved it then and was determined to revive the taste here in Lewes UK. 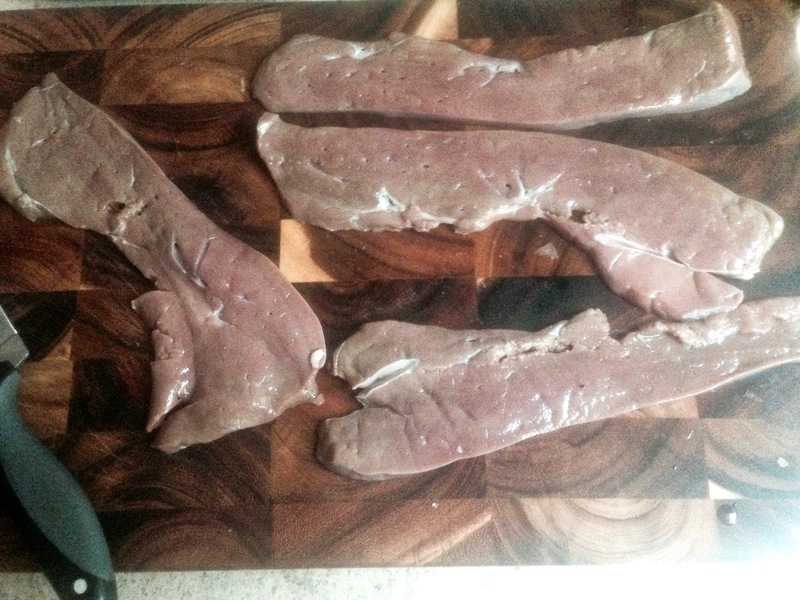 I’m not claiming full authenticity so let’s call my effort, Lewes Liver. As you may have guessed, Lewes Men’s Pie Night (membership by invitation only) is all about drinking but let’s not go there. So this recipe is very definitely nothing to do with vegetarianism. If you want to have a go, I’ll show you what I did but, believe me, I didn’t really know what I was doing. 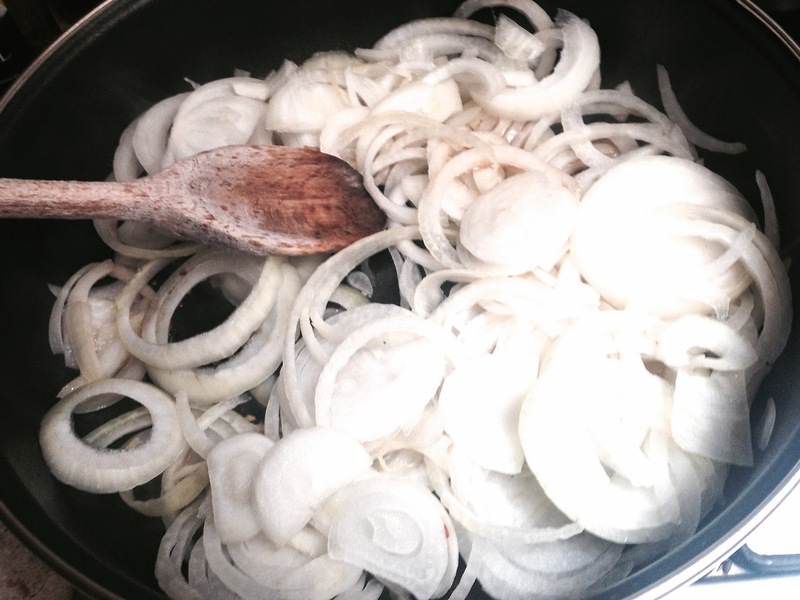 You start with three white onion and, yes, chop them up finely. 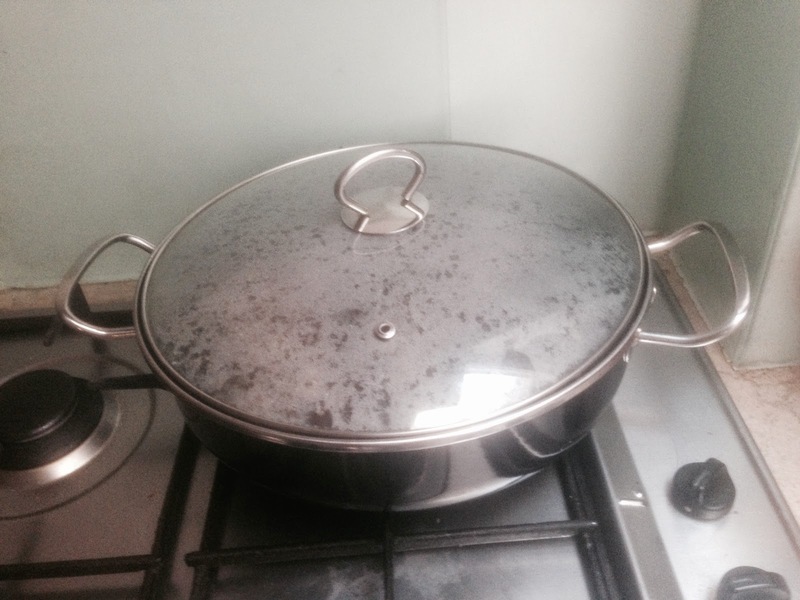 If you can’t manage that just do it the best you can – just like I did. 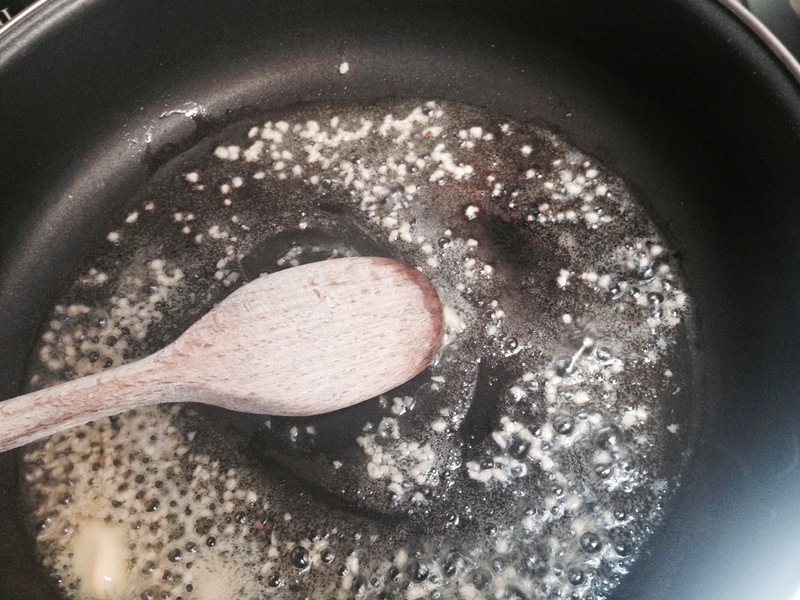 I heated a pan with a tablespoon of olive oil, a knob of butter and one garlic chopped and crushed. 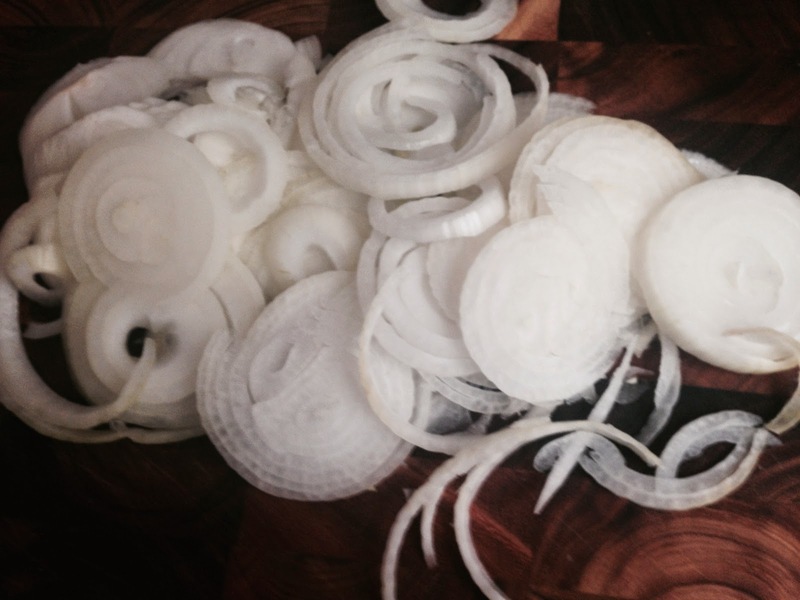 I then, yes, you’ve guessed, threw the onions into the pan and tossed them around for a bit. 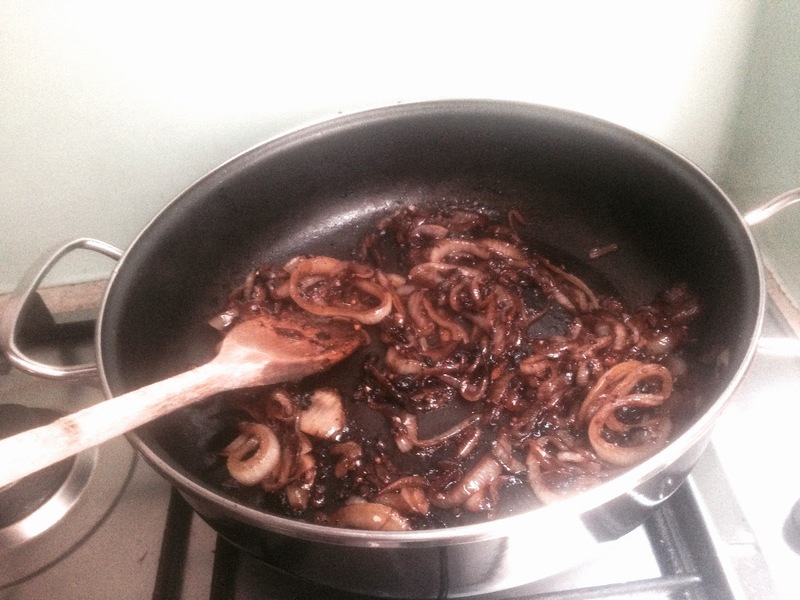 This was done on a fairly high flame for about ten minutes when the onions start to go brown with black edges. It already looked delicious but I carried on pushing the onions around until the looked ready for the next ingredients. Then I lowered the flame. It was time to add 10 fl oz. 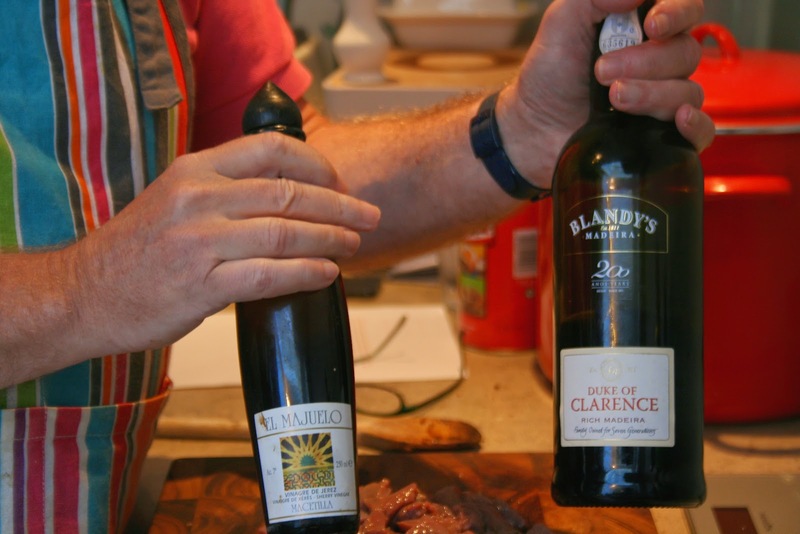 of the key ingredients – dessert wine (here some Madeira found at the back of a cupboard) and 10 fl oz. 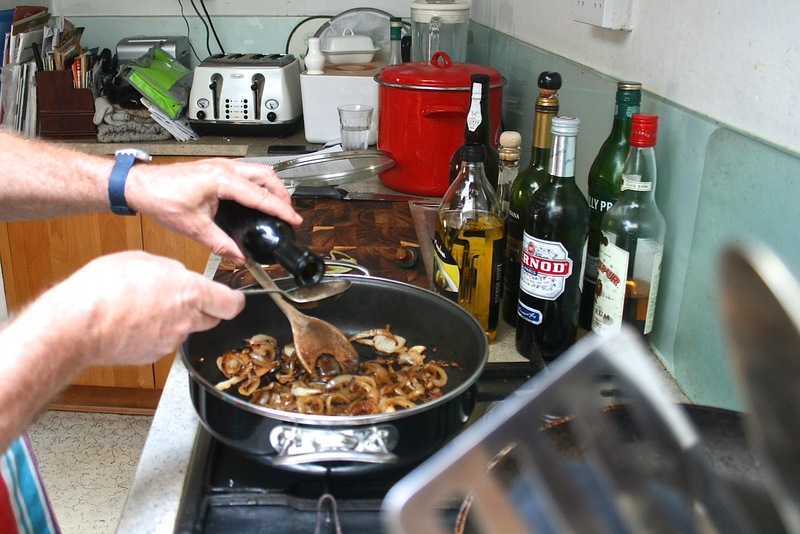 of balsamic vinegar. Everything started to fizz and things got really exciting. 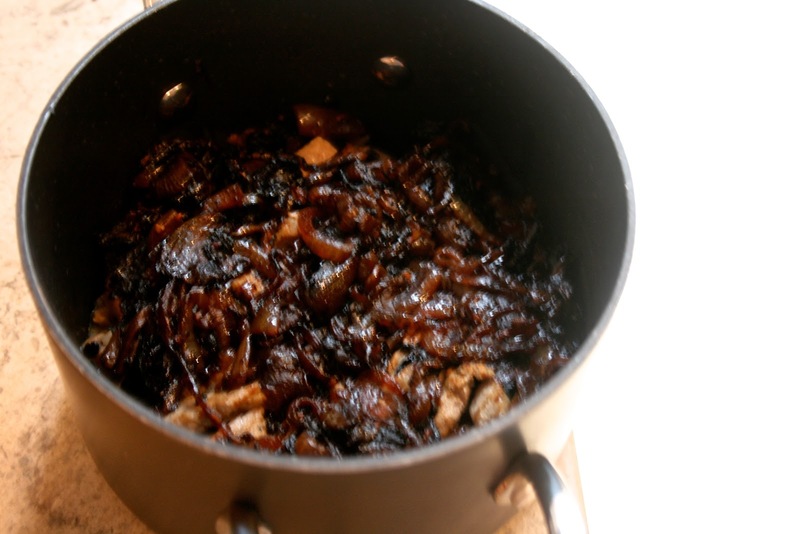 I kept stirring it all up into a delcious looking mush and then I covered it with a lid and put it on the lowest possible flame on a back burner for 45 minutes. 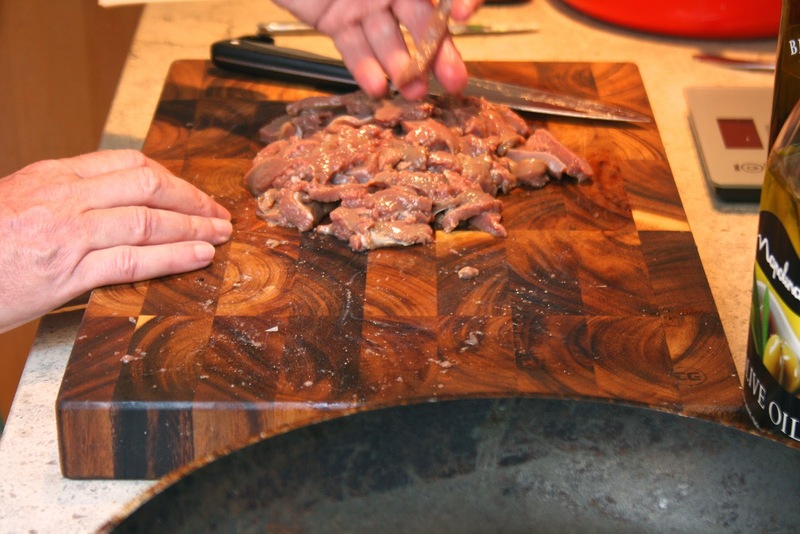 While that was simmering away, I got out the calves livers – don’t look if you’re squeamish. 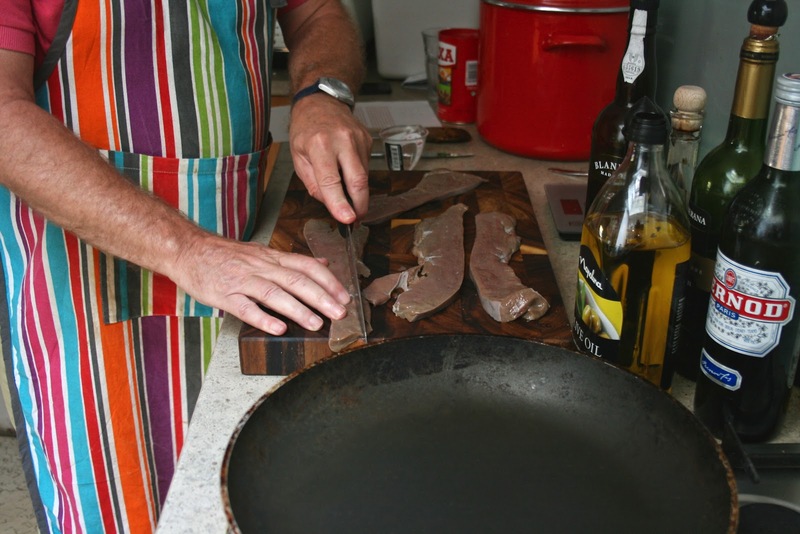 Calces liver may not look like luxuries but they taste fantastic. I know just what James Joyce appreciated in them. 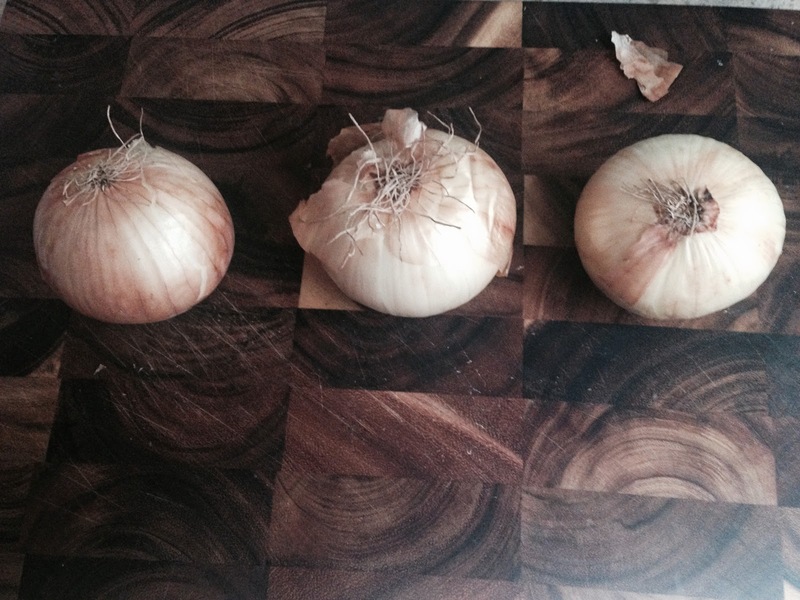 It was time to slice them up into small thin portions of roughly the same size. 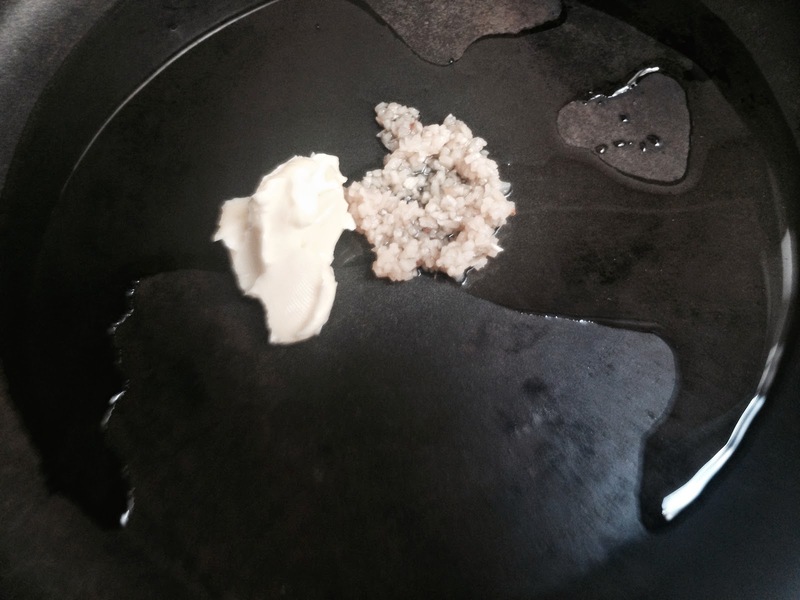 After the 45 minutes was up, I heated up some butter (8g.) 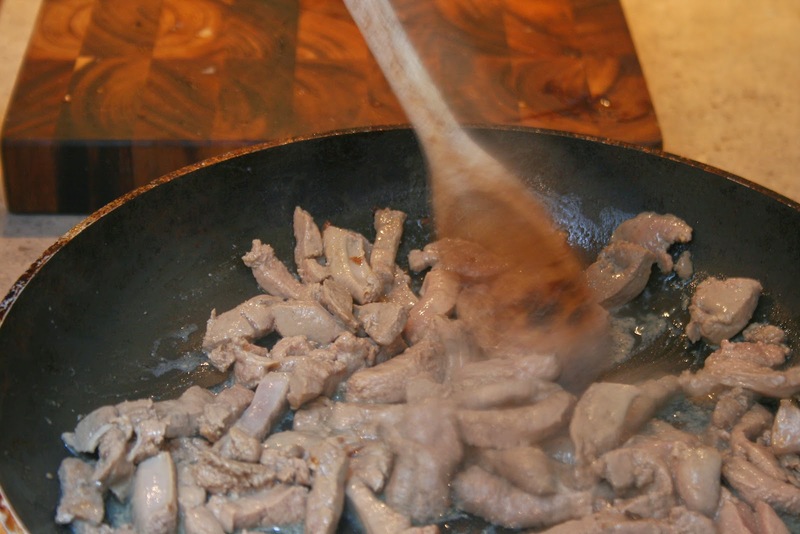 and another tablespoon of olive oil and when it was sizzling, I added the liver. This has to be done quickly – just 2 or 3 minutes so that the liver doesn’t dry out – you can judge it, or guess like I did, by the colour. 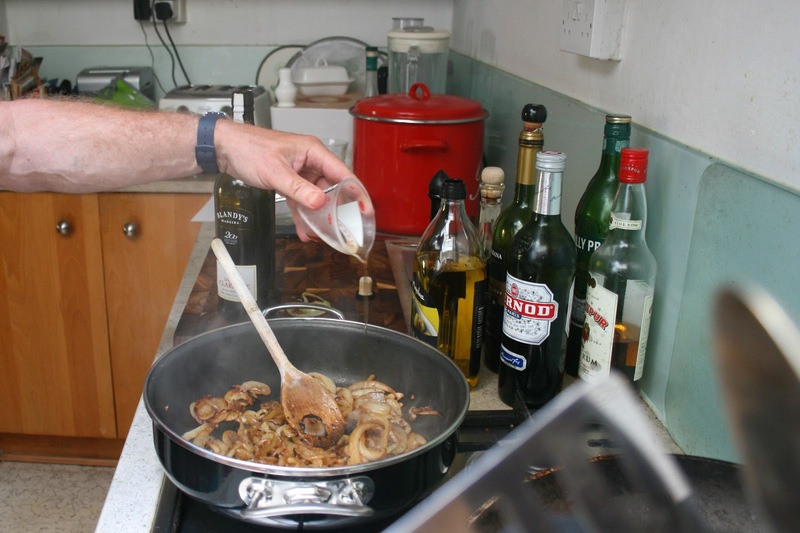 …and finally cover the livers with the caramellised onions. Believe me – it was wonderful and I was one very proud guy. It made a great starter divided into six portions and led us into an excellent evening that ended well into the next day. Hope it works for you too.